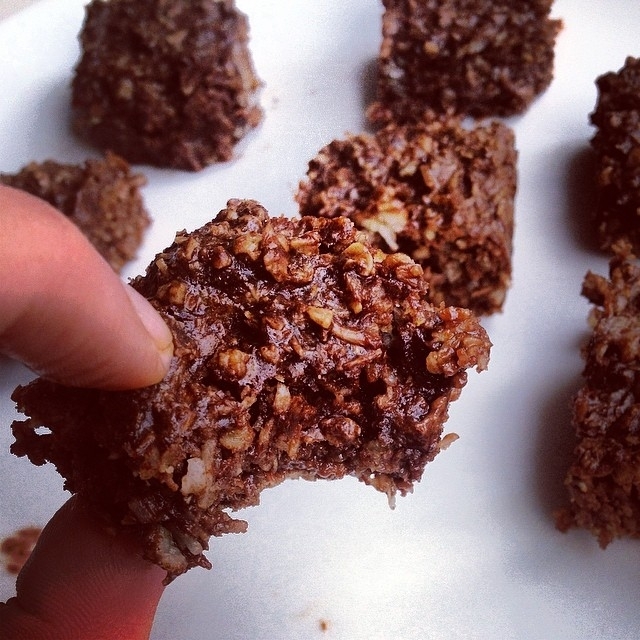 Delicious chocolate coconut protein bites! Just mix up the ingredients! Depending on the protein you used, you might need to add about 1/4 cup water to help mix the ingredients. Then just chuck the mixture in a lined tray and bake at 180 degrees for around 20-25 mins until cooked through. Then let them cool, chop them up, and enjoy.